Originally built in 1953, Kunming Zoo is located on Yuantong Mountain. In the zoo, you will find more than 200 species of local endemic animals and various species of rare animals at home and aboard. You could also appreciate the beautiful flowers at the trees and flowers exhibition area, such as sakura and plum blossom in the end winter and the early spring, lotus in summer, and chrysanthemum and sweet-scented osmanthus in autumn. Kunming Zoo offers the area of sakura and cherry-apple tree in the middle section where you could enjoy the amazing Yunnan sakura, Japanese sakura and Malus halliana in March. The flowers in blossom in spring make a stunning view. Close to the area of sakura and cherry-apple tree is the exhibition of animals where you will see Asian elephants, gaur, rufous-necked hornbill, black-tailed python, red panda in northwestern Yunnan, Yunnan golden monkey, gibbons, langur, peacock, and rare domestic animals such as Sichuan golden monkey, Siberian tiger, patas monkey, cynomolgus monkeys, rhesus monkeys, Himalayan vulture, etc and red-necked wallaby, cassowaries, zebras, giraffes, etc. In addition, you will also see red-crowned cranes, mandarin ducks, wild ducks, black swans, white swan, and mute swan at the waterfowl area. In the snake area, there are coral snakes, cobra, deinagkistrodon, kraits, bamboo snakes, Daboia russelii siamensis, round spotted dragonfly, monitor lizard, Chinese alligator, etc. At the peacock area, you could appreciate blue peacocks, green peacocks, and white peacocks. If interested, you could visit Yuantong Temple, the largest temple in the city of Kunming, and the ruins of the Great Wall of China in the Ming Dynasty (1368 - 1644). The park offers a children’s playground as well. 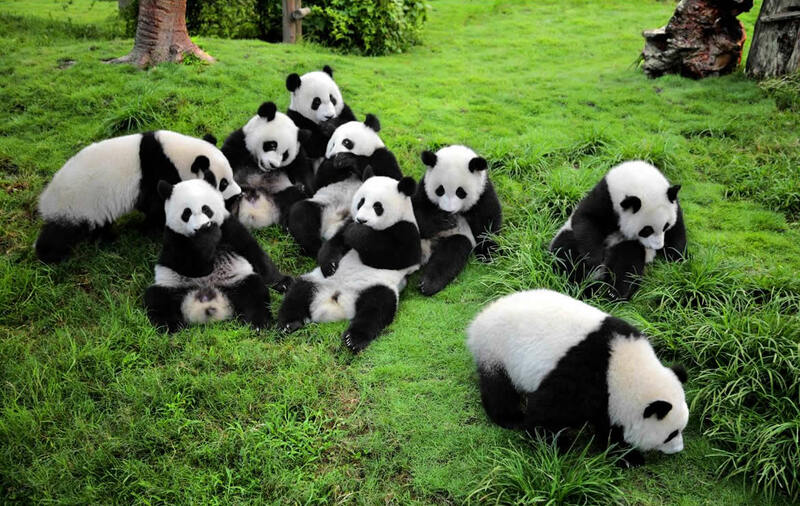 The best time to visit Kunming Zoo is in the morning as the animals are active. The best months to visit Kunming Zoo are from April to October. Several buses get to the zoo. Therefore, there are several options. Rent a vehicle to the zoo. This is the quickest and most direct option. Take Bus 4, 59, 74, 83, 85, 100, 101, 129 and A2 to the Stop of Yuantong Mountain (圆通山站). Please do not keep close to the animals, especially beasts, out of safety. Interested in visiting Kunming Zoo on a Tour? Wendy Wei Tours offers a variety of different packaged tours as well as custom tours including Kunming Zoo, among other attractions and destinations. To find out more, please visit our Tours page or Contact Us directly to find out more.